Grammy-nominated composer, bassist, and vocalist Meshell Ndegeocello spent the first few years of her life in Germany and grew up in Washington D.C. She is a social activist and a visionary artist. Meshell sat down with MUSEUM to answer some questions about her craft. Concerning living, it’s a system of measurement. Concerning music, it allows unity among the musicians. In an interview with BOMB Magazine you stated: “I just think my own little world in my head. That’s my survival mechanism.” What is this world like? The world of my imagination is quiet and it moves very slowly. When it’s still, I hear music. In a 2014 interview with FACT Magazine you stated that there is a “general anxiousness that people in America deal with.” What is the cause of this anxiousness and are you subject to it? Ha! Anxiety has been said to be brought on by an inability to not dwell on the past and be overly concerned with future. I fall prey often. What is the most recent lesson you learned or of which you were reminded? What kinds of things do you do outside of your music with the intention of developing your music (both as process and product)? I really like to read. And I love to watch abstract movies. I really like a film titled HOLY MOTORS. What would you say is the biggest difference between Meshell the child and Meshell the adult? 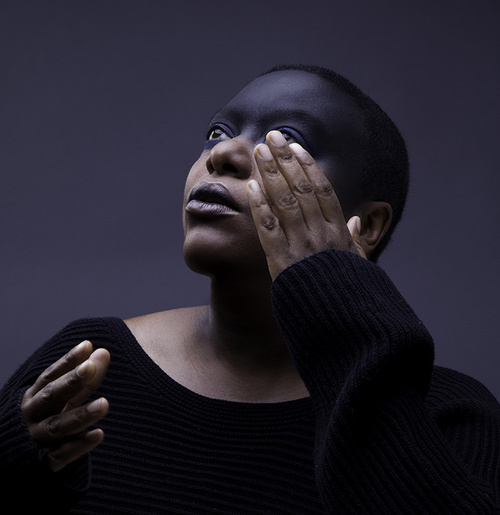 See and hear some of Meshell Ndegeocello’s work here.